There are plenty of cheap airfare deals going around but this summer car rental deals are hard to find. In fact, there are none around this summer. During the last year, rental car firms have off loaded 400,000 cars that were surplus to needs and there are now less cars available than there is demand. Which means, prices are sky high and they're making bucketloads of cash off renters. In fact, Michelle Higgins found that the average rate when picking up a car at the airport is now $346 per week when booked 7 days in advance. That's up from $199.65 in May of 2008, or in other words, 73% more expensive. Yikes! Pop over to your hotel first, then find a rental car company near the hotel. Locations outside the airport usually charge less for the same rental. One reason for that is the high concession fees and taxes charged by airports. In the U.S., that's another 10% or so on your bill, and in Europe up to a gouging 19%! If you're renting in America, rent from Enterprise, which usually offers good rates. Even better, they'll deliver your car to the airport and let you drop it off there too for no charge. And that's without any concession fees added either. The company covers most of suburban U.S.A. as well, more than any other company. Kayak.com features both the main car rental outlets as well as many smaller and local operators. These letter companies can often offer cars at much better rates as they're not spending loads on big advertising campaigns. Most other meta search engines don't include these smaller mom-and-pop firms. Many Toyota dealerships also rent out cars, which I don't think most travelers know about. The rates are favorable, and some dealers will deliver your car to you at the hotel for no charge. 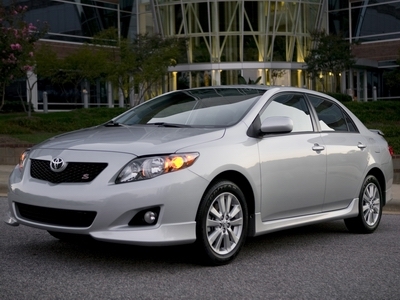 Find a list of dealerships at toyota.com/rental. Hotwire or Priceline offer cars from just a few big chains. However, if you prepay your rental with them, and aren't fuzzy about which company you rent from, you can save up to 40% on your rental fees. However, as the fees are non-refundable, this isn't an option for a traveler who needs to remain flexible. Last updated by jack on 16 July, 2009 in Travel Tips. That's right. Also remember that sometimes they do deals with airlines as well and you can almost always get air miles from the major chains. I'd also recommend signing up for the company club or whatever free program they have. Sometimes you can earn discounts. Frequent flyer miles can also be used, and if you work for a big company, they might have special rates with the major dealers. Just bring a business card and ask!